For approximately the past 18 months, since the horticulture industry came to grips with Psa, kiwifruit orchard prices have grown steadily. Early in the 2014/15 season, values surpassed the records set prior to the virus outbreak in November 2010. Last October, a good 5.84 canopy hectare gold orchard sold for $400,000 per canopy hectare, a new benchmark that fully regained the property’s pre-Psa value. Throughout the rest of the season, prices continued their upward trajectory. In mid-May, a Te Puke green kiwifruit orchard sold by tender for close to $400,000 per canopy hectare. In the autumn, a handful of gold kiwifruit orchards broke through the $500,000 per canopy hectare mark, already 20 per cent ahead of the price of the sale noted above just seven months earlier. Sales of $350,000 per canopy hectare for green orchards and $450,000 for gold orchards are now routine. By the end of the season, about a month ago, properties were selling within a week of listing, with tender the optimum sale method. Demand was exceptional and buyers were readily evident. Growers expanding their holdings accounted for most sales, although investors seeking to capitalise on the sector’s excellent returns were also active. From now until spring, compared to the frantic pace of the preceding few months, kiwifruit property sales are likely to remain subdued. All listings are sold and growers tend to stay away from the market during the winter. Some may start to think about buying and selling property again in the next six weeks, although actual transactions do not generally fire up before October, when the fruit sets on and we can be reasonably sure what sort of season to expect. Even then, new listings may not absolutely flow onto the market. When growers can show return on investment of up to a 20 per cent, even for orchards at these prices, they are not inclined to sell. Why would you when the alternative is to put the money in the bank at current interest rates, particularly when the market looks set to remain stable for the next few years? That being so, orchard values could possibly rise even further next season, although the many different variables involved make that difficult to predict. Growers still need to sell their fruit and, although the market is buoyant at present, caution still underlies most major decisions that growers make, and even minor glitches relating to the growing season or international export markets could bring the growth in orchard values to a sudden halt. On balance, however, as long as orchards continue to come onto the market next season at a similar rate to 2014/15, most will readily find buyers and can expect values to remain firm. Marketing rural property for PGG Wrightson Real Estate, Te Puke-based Stan Robb has featured in the company’s top three nationwide rural salespeople 15 times since 1995, including seven times as New Zealand’s number one. 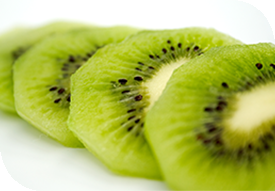 Much of this success derives from sales of kiwifruit orchards.